Delicious and warm Mexican Coffee made with a splash of tequila, coffee liqueur, and vanilla ice cream. Clearly, we all need a cocktail, however THIS coffee-cocktail should also be known as, Mommy Juice – it works WONDERS! Soooo… HI! How are you?? Happy mid-week! Tequila reminds me of Puerto Vallarta, circa 2001. All I remember is my friends, Coronas, tequila, of course, and “Hit ‘Em Up Style” by Blu Cantrell. 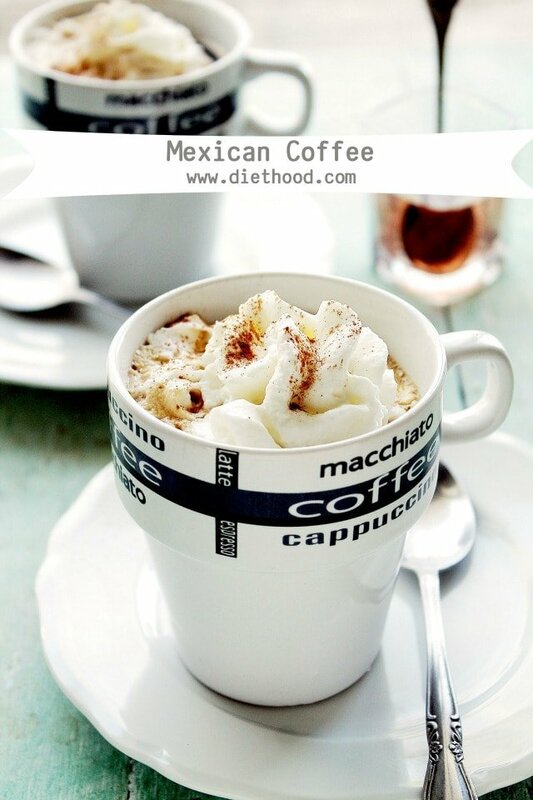 I wish I had known about Mexican Coffee back then – I would’ve ordered it every single day. And I also remember that our mornings included awesome leftover guacamole… it was brown, but damn good! Anything to cure a hangover, you know? On topic. I learned about this delicious coffee-drink at a nearby, family-owned authentic Mexican Restaurant. I was told that Mexican Coffee recipes are many and varied, but with tequila, kahlua, and vanilla ice cream, it is as authentic as it gets. I took their advice and got drunk as soon as I got home. By the time I got the ratios down pat, I was slurring my words and started bumpin’ to Nelly Furtado’s, I’m Like a Bird. I quickly learned that a full shot-glass of tequila in hot brewed coffee was not the answer to this recipe. Ew! Go get a glass or a mug, and join me. We can celebrate Cinco de Mayo right now, if you like. Also? That ice cream on top? OH yeaaaah… super amazing. If only I could start every day with a cup of joe like this! Girl I need this coffee in my life, love! Sounds like an extra fun way to get your caffeine fix! My hubby would go whackadoodle for this. Looks amazing. I just wonder is it anything alike “Spanish Coffee”?! 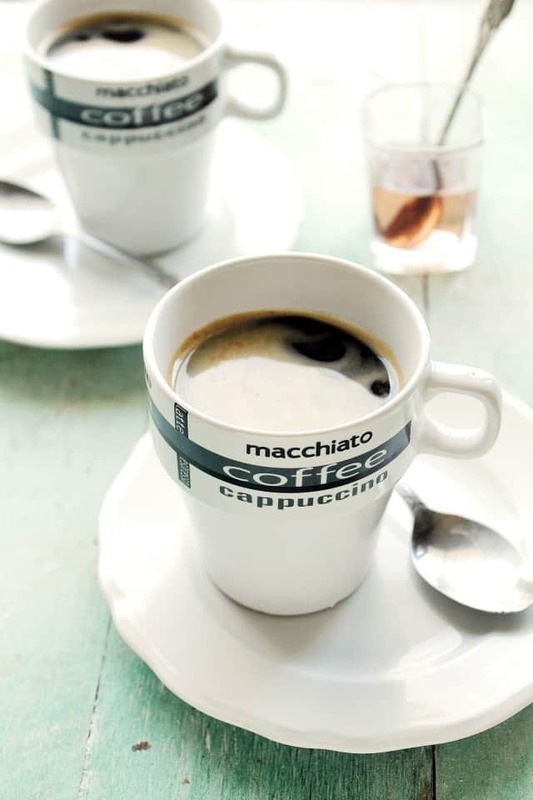 Uhmmm I need this coffee every morning!! Woah! This is one fantastic coffee! Love it! What an awesome combination of flavors in this Mexican coffee, especially with a little tequila. And ice cream? Yes I have to say, this will be made here soon. This weekend. Thanks!